This post is in response to the blog post ‘Dereck Joubert sets the record straight about trophy hunting impact on lions and refutes claims of so-called benefits,’ and is written by Brian Graham, Bryan Kent and Grant Nel – the shareholders of Linyanti Explorations and leaseholders of NG16, also known as Selinda Reserve (currently leased by Great Plains, and referred to in the blog post by Dereck Joubert). We are concerned that the above blog post has created an inaccurate impression of the state of the Selinda concession (NG16) when it was purchased from us by Dereck Joubert in 2005. 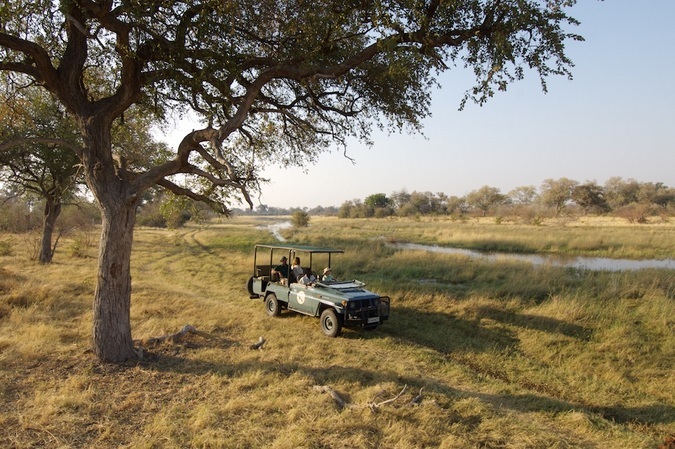 We wish to place on record that our operating methods in Selinda during our 10-year tenure as concessionaires have been recognised as being some of the foremost by any safari operator in an era that saw many shifts in Botswana’s applauded conservation strategies. We started the process of isolating trophy hunting away from prime wildlife areas, and of using detailed wildlife and habitat research and surveys to determine, and in many cases, reduced hunting quotas. Our role led to the area becoming known as a prime wildlife area – a reputation that continues to this day. Despite our respect for Dereck and his safari successes, we feel it is important that we set the record straight with regard to his claims relating to our custodianship of Selinda Reserve prior to his involvement. • A high-density wildlife zone (Zone A), where all photographic safaris were conducted (two safari camps, a support HQ and a walking safari trail). There was zero tolerance for hunting in this zone. 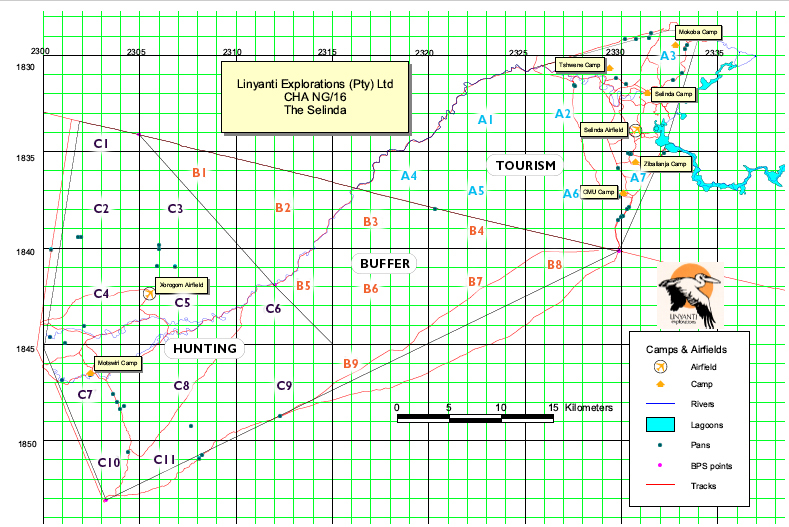 This is the zone where Dereck currently operates his Selinda camps with great success, thanks in no small part to our efforts. • A medium-density wildlife zone (Zone C) where a safari camp (some 70km distant) was established, to be run and managed by ourselves. Hunting outfitters would book this camp as ‘guests’ during the legislated hunting season. This control allowed us, as the concessionaires, to mediate any unethical hunting practices, and fulfilled the conditions of the lease. This zone bordered the community area of Godikwe and allowed the benefits of hunting to filter through directly to them. Even back then we understood and believed that involving local communities in direct benefits is vital for conservation success. • A low-density wildlife zone (Zone B) to act as a buffer between the above two zones. Although hunts rarely occurred here, the environmental limitations of little to no water, poor browse/grazing, and a limited road network precluded or severely limited any hunting successes. This zone comprised the greatest land area of the concession and separated the two permanent water sources of the Linyanti/Kwando and Okavango. Prior to our involvement in 1994, Zone A was indeed a major hunting area and there is no doubt that many nefarious and unethical hunting practices took place, both through citizen hunting and commercial trophy hunting. Indeed, this is what precipitated the government standpoint to redefine and re-allocate the enormous blocks of land that make up northern Botswana’s wilderness. Therefore, Dereck’s claim that ‘all hunting was stopped when we took over’ is misleading. Yes, he did close down the limited hunting quota allocated to Zone C – and deserves credit for that. But in fact, we closed down ALL hunting in the prime wildlife area of Zone A 10 years prior to his purchase of the concession. 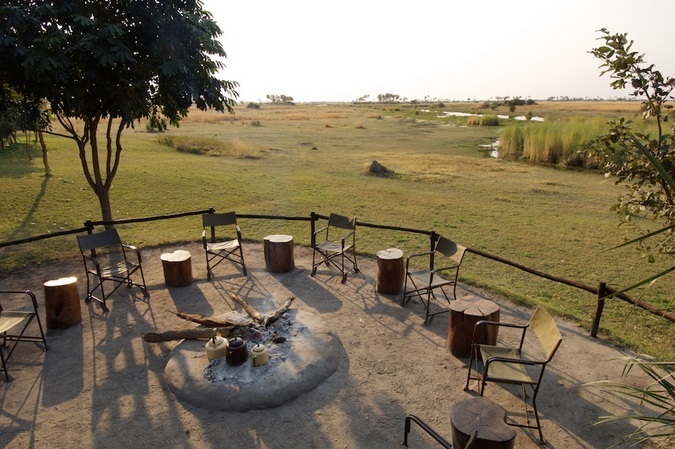 The current placement of Dereck’s camps in Zone A of the Selinda Reserve enjoys the fruits of our decisions and management, as did our guests prior to our selling the company in 2005. The financial benefit of this arrangement also provided us the budget to conduct tri-annual aerial surveys of Selinda Reserve. We were the only concessionaire in Botswana to maintain surveys throughout our tenure – which the current Selinda concession holders have sadly phased out and discontinued. Our company was the only safari operator to establish comprehensive, repeated and systematic wildlife surveys and monitoring in northern Botswana. Aerial surveys were conducted every spring, summer and autumn following one minute latitudinal transects using four counters in a fixed wing aircraft. The data was then analysed using the Norton-Griffiths method and compiled into a detailed annual report. Furthermore, monthly ‘full moon ground counts’ were conducted using set road routes and data gathering sheets. These were then augmented with ‘supplementary counts’ specifically to monitor cryptic species, including small and large predators, including lions. 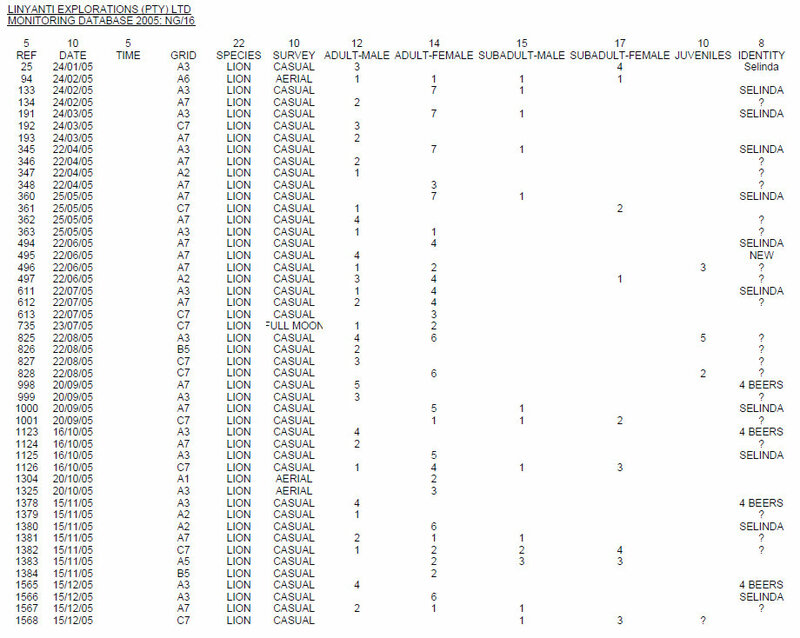 Mortality records were also maintained of all observed predator/prey interactions, unknown causes and hunting offtake. As far as we are aware there is still no private concessionaire investing in and conducting wildlife monitoring with anything close to the intensity and thoroughness of our efforts – including the Selinda Reserve of today. It would be a challenge for any private concessionaire to proclaim any trends in wildlife numbers under their custodianship without quantifiable, historical public records to back it up. It is clear from our carefully maintained records that wildlife populations were flourishing during our time, subject of course to the usual ebbs and flows common to any large intact ecosystem that is subject to changes in season, rainfall, flood regimes and other natural events. Therefore, Dereck’s claims of ‘post hunting wildlife rebounds’ are also confusing and misleading. If you prefer to believe an independent third party, then read this report on a third party website by a tourist of his visits to Selinda Reserve during our time there. He visited us many times over 10 years, and wrote this report in 2015, of his own volition. His report includes his personal accounts and many photos, which speak for themselves. Our detailed survey records of wildlife population numbers, densities and distributions for most species within NG16 were provided annually to the Botswana Department of Wildlife & National Parks (DWNP). Every year, concession by concession, the DWNP would set the quotas for the hunting season ahead. We would peruse these quotas as they pertained to NG16 and request the department to reduce or remove quotas if we felt that certain species required additional protection. At no time did we ever request DWNP to increase a quota. During our custodianship of NG16 the predator populations were healthy and well dispersed throughout the area. Male lion coalitions were stable and the two principal prides (Selinda and Spillway prides) were tremendously successful in raising cubs to independence. And we can back these claims up because we have the data. 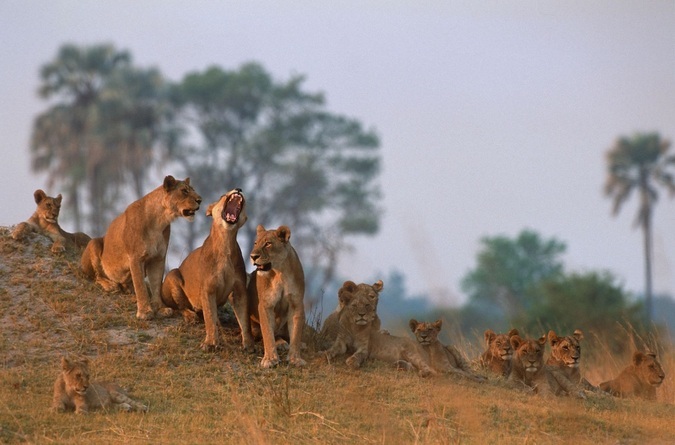 Through 1997 to 2003, various award-winning wildlife filmmakers and photographers chose Selinda as their base of operations because the predator population was so healthy – especially lions. 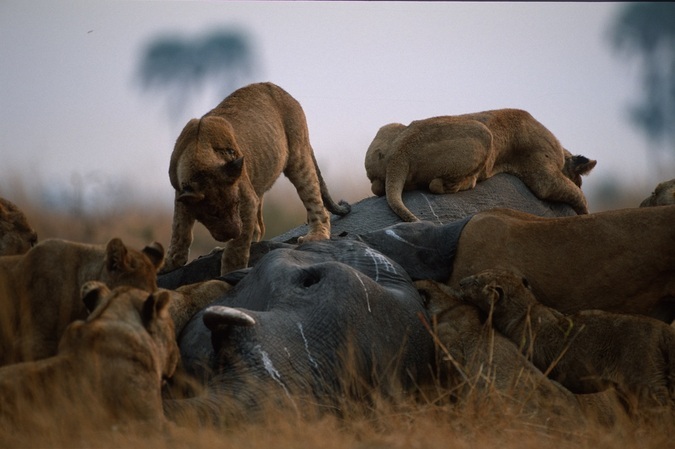 The tourist’s report referred to above includes photos of many lions, shortly before Dereck took over Selinda Reserve in 2005. Therefore, claims by Dereck that only two lionesses ‘survived the ravages of trophy hunters’ are also confusing and misleading. Claims that ‘the staff of the previous owners were 100% hunting staff’ are simply not accurate. With a staff complement that hovered around 60 individuals (not 12, as claimed) we ran our small camps and operations with 80% of the staff solely employed for photographic safaris. The safari camp in Zone C was utilised by trophy and photographic guests alike, at different times of the year, but the staff we employed ran the camp and were employed permanently and not involved in the hunting which, as already mentioned, was contracted out. Therefore, claims by Dereck about our staff, their employment status and remuneration are also confusing and misleading. 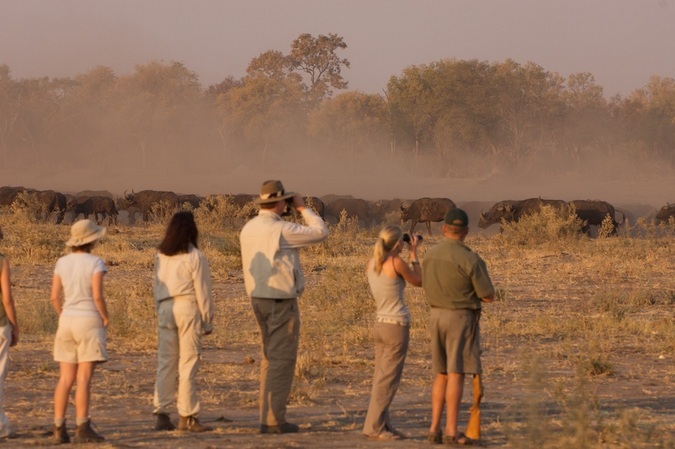 The ecotourism industry in Botswana is constantly evolving, and we are proud to have played a substantial part in the process that has brought Botswana to the top of the safari tourism heap in Africa – the benefits of which Dereck’s company now enjoys. We are also proud to have played a role in converting a previously heavily-hunted wilderness into the wonderful safari tourism beacon that Selinda Reserve is today. 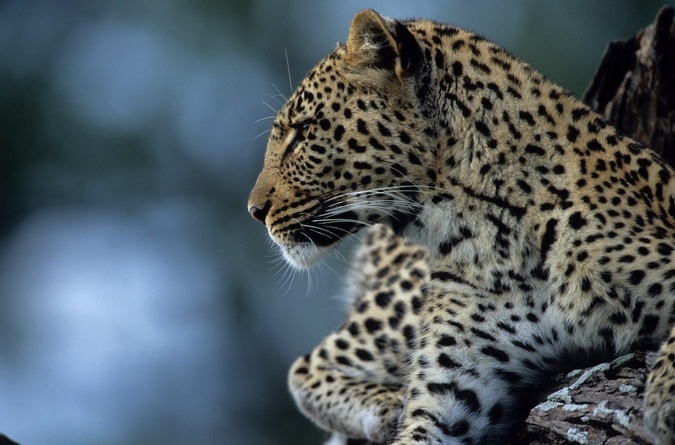 In that way, we see ourselves as having helped pioneer the journey back to intact wildlife populations and ecosystems. Dereck and his team have taken that baton over from us; earning our respect in the process and we wish them only good things for the future. But perhaps he, and they would be wise, and gracious, to recognise and applaud the efforts of those who have gone before them, rather than cast us as the villains.